It’s a big day for reproductive justice for women in the United States and a special victory for women’s rights in Texas. Today the Supreme Court ruled in the case Whole Woman’s Health v. Hellerstedt (formerly v. Cole). In it, it struck down Texas’ anti-abortion law HB2. WHAT IS HOUSE BILL 2 (HB2)? A bill passed in Texas in 2013, House Bill 2 required all Texas facilities performing abortions to meet hospital-like standards — which you may think is not a big deal, but the reality is that many abortion providers (such as free clinics for example) had to close as they were unable to fulfill the requirements which included minimum sizes for rooms and doorways, pipelines for anesthesia which would have required major construction for these small providers. Those that supported HB2 said that it was designed to “protect women” however members of the medical community, such as the American College of Obstetricians and Gynecologists and the American Medical Association, expressed its discontent with the bill, saying that lacked medical justification. The 5-3 ruling SCOTUS ruled that Ruling Texas’ 2013 abortion restrictions place an undue burden on a woman’s constitutional right to an abortion. You can read the opinion here. 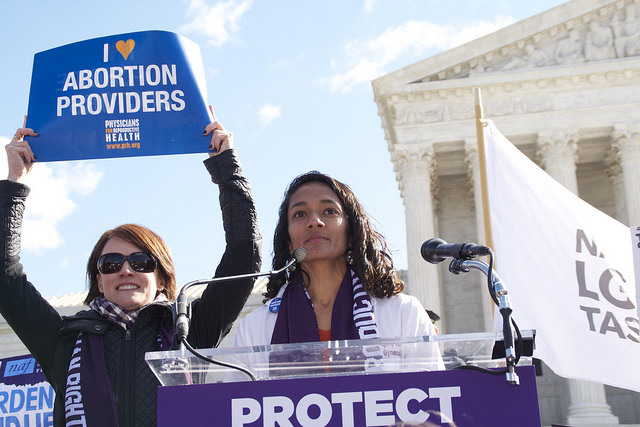 WHY IS SCOTUS DECISION A BIG DEAL FOR WOMEN OF COLOR? 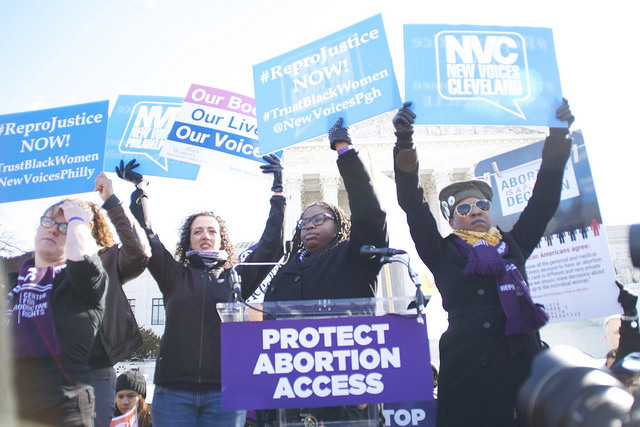 This victory is not only a HUGE success for women’s reproductive rights but it is especially significant for women of color, who are often the most burdened with lack of access to healthcare services, especially clean facilities and safe abortions. Women of color already suffer from structural barriers to healthcare equity. HB2 added to those barriers by making it increasingly difficult (if not impossible) to obtain reproductive healthcare services in the State of Texas. Simply put, because they were significantly affected by it. 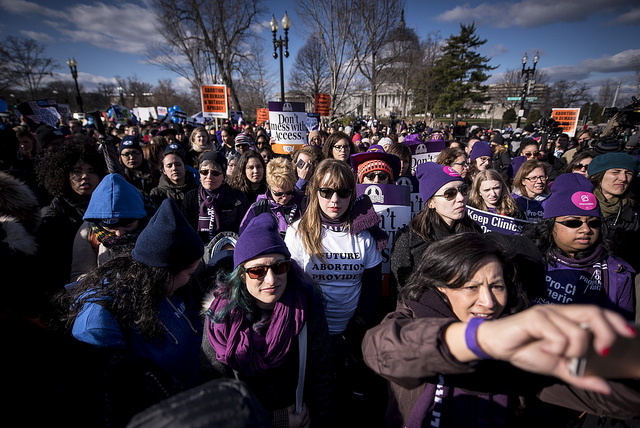 An impact on other reproductive health: Not only has the Texas clinic shutdown law added significant travel and longer waiting periods for women seeking abortion services, but it has also impacted access to other reproductive health services, such as family planning, prenatal care, maternal health care, and breast cancer screenings. Long trips represent significant burdens on women, especially those who may not have a vehicle or a driver’s license, cannot afford the added expenses of travel, or live in one of the many communities that do not have public transportation. Lack of abortion providers led women to take matters into their own hands: Women who are unable to access professional abortion care are more likely to take matters into their own hands and attempt to terminate a pregnancy on their own. NLIRH highlighted high rates of self-induction in the Latina community. With high unemployment and poverty rates among Latinas, those with jobs may be unable or reluctant to jeopardize their employment by requesting time off to travel to a doctor’s appointment. Even if a woman is able to get time off, she may be unable to afford the costs associated with travel, including childcare. 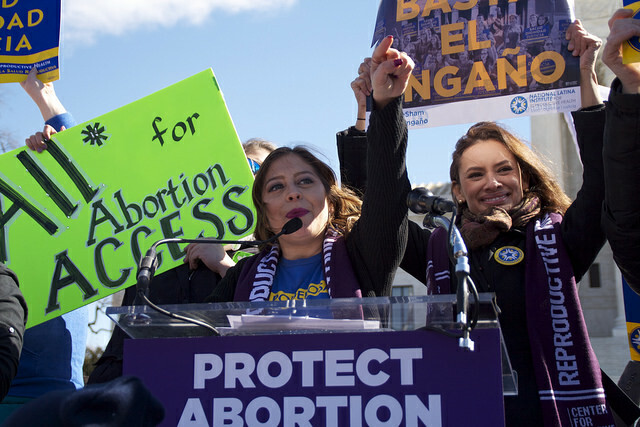 REPRODUCTIVE JUSTICE: TIME TO CELEBRATE AND KEEP GOING! Today reproductive health activists are celebrating, but as Jessica Gonzalez-Rojas said today, “Today we celebrate, tomorrow we keep fighting.” There are many more anti-choice laws: the Guttmacher Institute reported last year that there were over 200 anti-choice laws in the United States. These laws continue to put women at risk: by denying them access to potentially life-saving healthcare services such as pap smears and cervical cancer testing, and also by denying them the opportunity to make decisions about their own reproductive health.